Frederik is a Senior Associate at Storm Ventures, previous CEO of Stanford Student Enterprises, and founder of BLCK VC. BLCK VC was formed to connect, engage, empower, and advance Black venture investors by providing a focused community built for and by Black venture investors. What got you interested in VC? 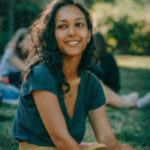 I gained exposure to VC due to my prior role as CEO of Stanford Student Enterprises–a nonprofit at Stanford that had the mission of teaching Stanford students how to build and manage businesses. As part of SSE, we had a handful of incubators/accelerators that worked with VC’s throughout the valley. This is how I learned about the industry. I met one of my GPs through that work. Do you think you approach VC differently than your peers? I’m not sure that my day-to-day experience differs all that much from others. Ultimately, Storm is fairly similar to most Sand Hill venture funds. I do think that I look at the world through a different lens as both a Black man and as someone that grew up lower income. I think these both give me a unique strength to not underestimate founders that are different, but also to look in different areas of the business world for opportunities. I think another experience that shapes my investment thesis is the fact I moved around a lot growing up–in fact prior to moving to California for Stanford, the longest I’d ever lived in any area was 2 years. It’s now been over 8 years since I’ve been in the San Francisco Bay area. How do those experiences shape your approach? I don’t underestimate founders. I think I have a higher level of empathy for the struggles a lot of founders face–especially diverse founders. As such, I tend to try to spend more time helping founders understand our thinking when we choose to not invest and try to help them think through which firms might be a better fit. It also played a big role in the founding of BLCK VC. Lastly, it influences the fact that I spend a lot of my time outside of SF looking for deals. Great talent can come from anywhere! 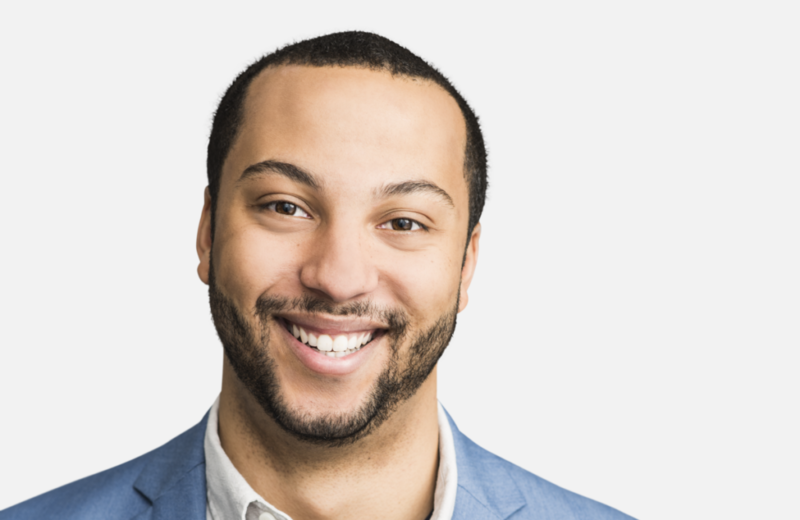 So how do you get more black candidates interested in VC? You first need more symbols–which means it is the job of current black VC’s to get out there and tell their story. Symbols are such powerful influences and they act on us subconsciously. If the only images we see of VC’s is white men, then we have a problem. Second, we need to have an honest conversation about how this problem came to be and how we change it. Conversations around race are never easy, but they need to happen. Right now we’re doing an incredible job talking about gender diversity in the Valley, and that’s been long needed. We need to learn from those conversations and begin to have them around racial diversity as well. I think one of the key issues today is that black tech workers, bankers, consultants, etc. don’t look in the mirror and see themselves as the next rock-star venture investor. That’s what BLCK VC wants to change. That’s what groups like HBCU.VC want to change. Let’s be real, there aren’t a lot of black founders in Silicon Valley. How do you bring VC to them? Instead of thinking about physically bringing VC’s into black communities like Oakland or Compton or Harlem, I think about it from the context of how do we diversify the networks of non-black VC’s to incorporate black talent? And I think the answer is that VC’s need to actively try to engage with organizations like CPIT, NSBE, BLCK VC, MLT, Ron Brown, etc. I think these organizations are all uniquely positioned to help frame these conversations. How do you make sure black candidates from diverse backgrounds (not just Harvard and Stanford) are looked at too? This is a question I’ve personally struggled with as an example of someone who got into VC and went to Stanford. Look, the reality today is that most black VC’s had to be at the top of the top to even have a chance to get looked at for the jobs they have today. While I’m not sure that’s going to change [especially since this also tends to hold true for the backgrounds of non-black VC’s] and is more symptomatic of a larger bias within venture, I do think that broadening the networks of black candidates within school programs is key. Having a large network of venture investors is the #1 way to get a job in a venture. So if you want to break in, meet as many VC’s as possible. This is why I think the work HBCU.VC is doing is so exciting. Here you have a group whose entire mission is to give black students from schools that aren’t Stanford and Harvard exposure to VC. Why do you think it’s important for VC funds to retain and invest in black talent? Diverse teams perform better, pure and simple. I think diverse teams will lead to larger outcomes and more profits for venture firms. Increasing the number of black investors will also have a trickle-down effect of increasing the diversity in teams that funds invest in. Not only does that broaden a firm’s network into other communities, but it provides a unique perspective that represents a large demographic of buyers in the market–both b2b and b2c. Beyond increasing the performance of investment teams and firms, if you don’t retain underrepresented talent, then that might signal a fundamental issue with the culture, and as we’ve seen in large tech companies, this can create huge issues further down the road. Head of Customer Success at Fundstack. American in London.